to a monthly box and save 10%! *Auto Ship automatically renews, but you can cancel at any time. With every Heart to Horse Box, our equine experts put together a fun assortment of products that both you and your horse are sure to love. 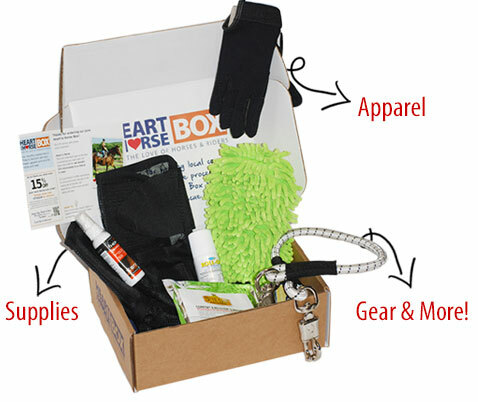 Each month a specially packaged box is filled with tack, treats, apparel, supplies, and more for every riding discipline to enjoy. 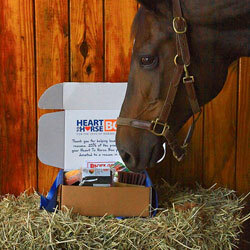 Heart to Horse Boxes are a great way to try something new, or to rediscover old favorites at a great price. 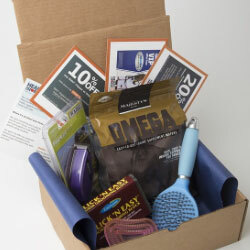 You can always buy an individual box to try, or subscribe and let us surprise you each month! You can get just one box, or one every month! You can stop it any time! 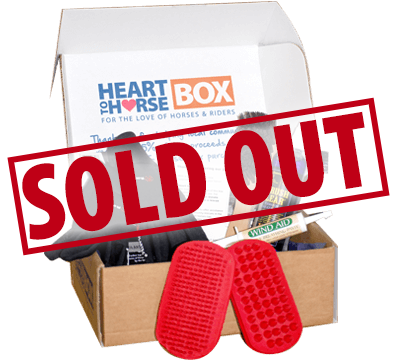 Every 15th of the month we ship out our Heart to Horse boxes filled with great items! 25% of proceeds go to a shelter in need. Enjoy that fuzzy warm feeling! go to a horse rescue in need. This is well worth your money. I love everything that was in it and use it almost every day! The products in there are useful and great quality! 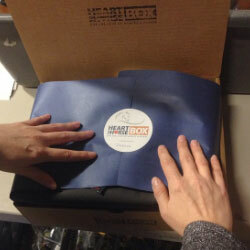 I love these boxes and am thinking about getting them monthly! They are awesome! They are a little pricey but it goes to a good cause so its all worth it in the end. I just received my first box today. I was pleasantly surprised and very happy with its contents! I am looking forward to the new surprises in future shipments. It gives me a chance to try out new things in addition to helping horses in need. All of my pets are rescues. Oh, and thank you for the dog treats. My dog loved them! Its like Christmas every month! You never know what your gonna get. I love the fact that some of the cost goes towards helping horses in need. Its a treat for myself, my horse Dia, and I get to help a rescue group to continue to do great things. I would recommend the heart to horse box to anyone who needs a little pick me up to get though a long winter, especially in Vermont!